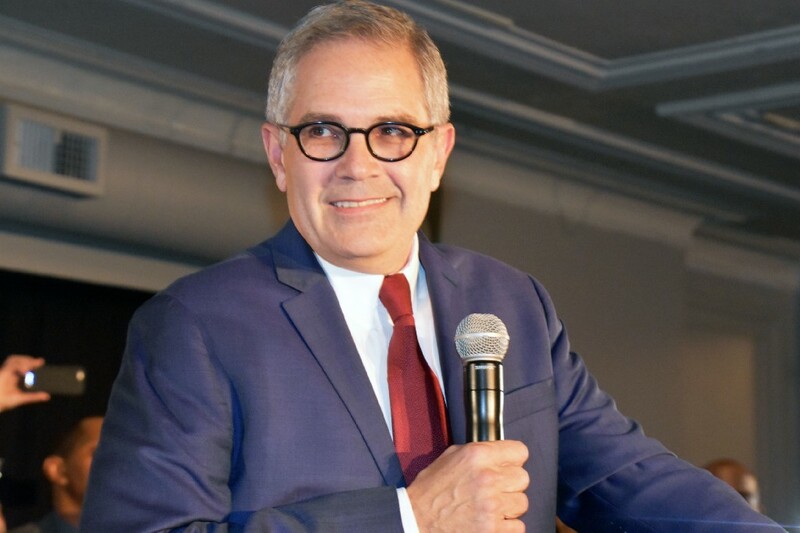 Although Beth Grossman was victorious in many Northeast wards, Democrat Larry Krasner claimed the district attorney seat with 75 percent of the vote. Philadelphians on Tuesday night overwhelmingly elected Democrats Larry Krasner as district attorney and Rebecca Rhynhart as city controller. Krasner, a longtime civil rights lawyer, defeated Republican Beth Grossman, a veteran former assistant district attorney, with 75 percent of the vote, with 98 percent counted. The DA-elect celebrated at the William Way LGBT Community Center in Center City. He said he earned a mandate for justice and equality for poor people of color. A West Mount Airy resident, Krasner easily won a seven-way primary after incumbent Democrat Seth Williams declined to run again. Williams later pleaded to a federal corruption charge and was sentenced to five years in prison. “Next week, we will be announcing our transition team. It will be interesting,” he said. Grossman crushed Krasner in several Northeast wards, but she was overwhelmed in areas such as North and West Philadelphia, Center City, Chestnut Hill and University City. She had the backing of the city and state FOP, the firefighters and paramedics union, the transit police and the Inquirer, but didn’t have enough money to spread her message. “I’m proud of my race,” she said. Grossman, of East Falls, watched the returns at the United Republican Club. She thanked, among others, Republican controller candidate Mike Tomlinson, former District Attorney Lynne Abraham, state Reps. John Taylor and Martina White, City Councilmen Brian O’Neill and Al Taubenberger, state Sen. Scott Wagner, GOP boss Mike Meehan and the police and firefighters and paramedics unions. Rhynhart, a former city treasurer, budget director and chief administrative officer from Center City, defeated Tomlinson with 83 percent of the vote. Like Krasner, she benefited from a voter-registration advantage of about 7 to 1. 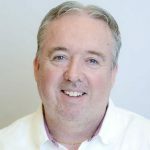 Tomlinson, a Holmesburg resident who has worked as a CPA, auditor, controller and teacher, did much better in the Northeast than the rest of the city. He spent much of his day greeting voters at the Bakers Bay condominiums. Rhynhart, who made stops at Sprinkler Fitters Union Hall and Robert Pollock Elementary School, celebrated at the Continental Midtown restaurant, in Center City. She’ll succeed Alan Butkovitz, whom she beat in the primary. She’ll become the first woman controller when she takes office in January. Tomlinson, a community activist, joined Grossman at the United Republican Club. His campaign focused on helping out public schools and addressing the city pension fund. “I’m going to return to the Friends of Holmesburg Library, Town Watch and Sunday school, where I can make a difference,” he said. In other contests, it looks like women will sweep all seven statewide judicial races. Republican Sallie Mundy was leading Democrat Dwayne Woodruff, 52 percent to 48 percent, with 93 percent of the vote counted in the race for Supreme Court. In the race for four seats on Superior Court, Democrats Maria McLaughlin, Debbie Kunselman and Carolyn Nichols won, and Republican Mary Murray was narrowly leading for the fourth seat. Trailing were Democrat Geoff Moulton, Republicans Craig Steadman, Emil Giordano and Wade Kagarise and the Green Party’s Jules Mermelstein. There were nine candidates for nine openings on Common Pleas Court. Appointed Judge Vince Furlong, of Somerton, led the way, as he was the only candidate on both the Republican and Democratic tickets. The other eight elected were Democrats Mark Cohen (a former state representative from Castor Gardens), Stella Tsai, Vikki Kristiansson, Lucretia Clemons, Deborah Cianfrani, Zac Shaffer, Deborah Canty and Shanese Johnson. Democrats Marissa Brumbach and Matt Wolf were the only two candidates for two openings on Municipal Court. Supreme Court: Thomas Saylor and Debra Todd. Common Pleas Court: Linda Carpenter, Michael Erdos, Rosalyn Robinson, Teresa Sarmina, Ellen Ceisler and Shelley Robins New. Municipal Court: James DeLeon, Nazario Jimenez, Brad Moss, Karen Simmons, Joyce Eubanks, William A. Meehan Jr., David Shuter, Marvin Williams and Thomas Gehret. There were two questions on the ballot. A proposed state constitutional amendment reads, “Shall the Pennsylvania Constitution be amended to permit the General Assembly to enact legislation authorizing local taxing authorities to exclude from taxation up to 100 percent of the assessed value of each homestead property within a local taxing jurisdiction, rather than limit the exclusion to one-half of the median assessed value of all homestead property, which is the existing law?” With 85 percent of the vote counted, the amendment was leading, 54 percent to 46 percent.